RAID 5 systems are not infallible and should be monitored at all times. Immediately upon the failure of any drive in the system, a notification via email, text, etc. should be generated and sent to the responsible party for drive replacement. Always replace a problem drive, never reseat or re-introduce a problem drive to the RAID. No data is lost in the case of a single disk failure, but if a second disk fails before data can be rebuilt to a replacement drive, all data in the array will inaccessible. If the second drive fails before the first can be replaced or rebuilt, then the system should be powered down. No exceptions! The system can now be rebuilt and the backup restored; crises averted. Time for some hard thought and deliberate action. The wrong move here could cost you all of your data. What are the ramifications of the RAID 5 failure? Is the data mission critical? Is it archival data that is needed, but not time sensitive? If so, it’s time for a data recovery specialist. At this point in time most, if not all of the data is probably recoverable and a competent data recovery company can have you back up and running in as little as 24 hours. In our experience, most RAID 5 systems are completely recoverable if they are shut off immediately after failure symptoms occur. Do not panic! Most unrecoverable RAID 5 data is a direct result of well meaning technician’s recovery attempts gone wrong. You’re smart, use your own intelligence/instinct when dealing with manufacturer tech support. Their job is to get their product up and running in as short a period as possible, data is not their main focus; after all you did do your backups correct? Operating a damaged RAID risks accidental overwrites, parity loss and other serious issues that can complicate the data recovery process or even render the data completely unrecoverable. Never try to reseat and rebuild drives as this can corrupt the system by introducing stale data. Never try to re-introduce a drive to the array that has gone offline. Never remove more than 1 drive at a time unless all drives and bays are clearly relationally marked. It is critical that the system not be rebooted and/or allowed to rebuild if the array has failed. Remember, the array will not fail unless there are at least 2 problem drives or other component failure. In most situations Carolina Data Recovery can have your mission critical data back in as little as 4-6 hours and the remainder within 24-36 hours, depending upon the severity of hard drive/data damage. 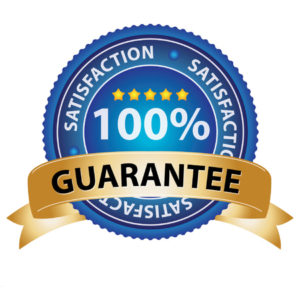 We offer risk-free RAID evaluations and we provide a no recovery, no charge guarantee with every case. Contact our customer service team today to get started. 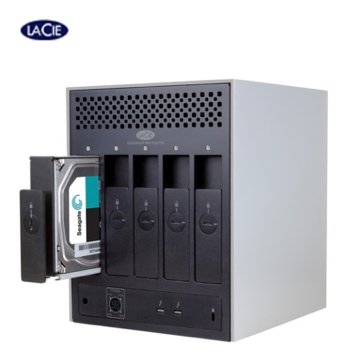 Our CDR data recovery specialist are also well versed in recovering data from the following NAS manufacturers: LaCie, Buffalo TeraStation™, cisco Linksys, SNAP server, QNAP, FreeNAS, Adaptec, etc. and quetek.